This feature is different from the usual interviews I post. We're part of Tricia's blog tour for the release of her newest book. I've known Tricia through ACFW for a long time. She's a wonderful storyteller who really pays attention to the details in history. Her books are richer for her efforts. Nazi tanks rolled across the hillsides and German bombers roared overhead, dropping bombs on helpless citizens. Italian troops fought alongside the Germans, and their opponents attempted to stand strong—Americans, British, Irishmen, and others—in unison with other volunteers from many countries. And their battleground? The beautiful Spanish countryside. Unlike World War II, there is no clear line between white and black, good and evil. Both sides committed atrocities. Both sides had deep convictions they felt worth fighting and dying for. Loyalists—also know as the Republicans were aided by the Soviet Union, the Communist movement, and the International Brigades. If not for the weapons and volunteers from these sources their fight would have ended in weeks rather than years. While many men fought side by side, their political views included that of liberal democracy, communism and socialism. The Catholic Basque Country also sided with the Republic, mainly because it sought independence from the central government and was promised this by Republican leaders in Madrid. Nationalists—or Francoists were aided mainly by Germany and Italy. The Nationalist opposed an independent Basque state. Their main supporters were those who believed in a monarchist state and fascist interests. The Nationalist wished for Spain to continue on as it had for years, with rich landowners, the military, and the church running the country. Most of the Roman Catholic clergy supported the Nationalists, except those in the Basque region.During the Spanish Civil war, terror tactics against civilians were common. And while history books discuss the estimated one million people who lost their lives during the conflict, we must not forget that each of those who fought, who died, had their own tales. From visitors to Spain who found themselves caught in the conflict, to the communist supporters, Basque priests, and Nazi airmen . . . each saw this war in a different light. These are the stories behind A Valley of Betrayal. The premise of the book sounds intriguing. We're giving away a free copy of the book to one of the people who leave a comment. Someone will win. It might as well be you. . . .is :-)ronie. Ronie, please send me your mailing address so we can get this book to you. Congratulations. 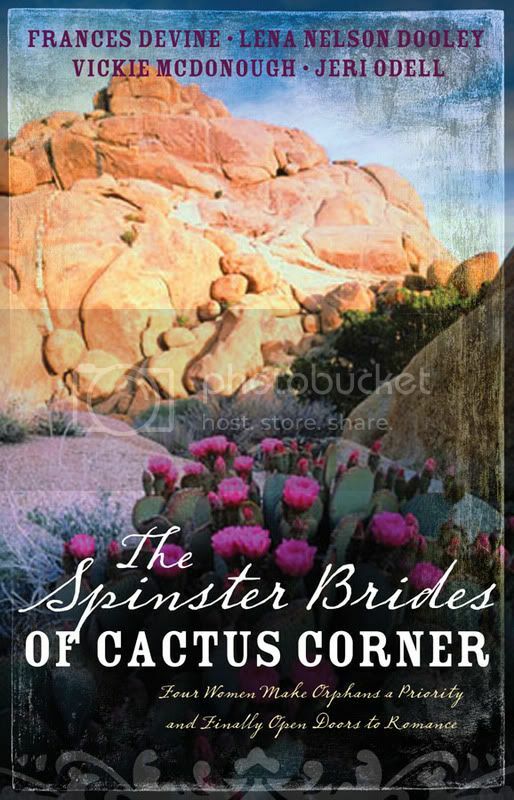 Readers, there's still time to leave a comment on the interview with the authors of The Spinster Brides of Cactus Corner. Remember, we'll pick four winners next weekend. If you want to be sure to know whether you won or not, just sign up with Feedblitz under my picture, and you'll know when a new post goes up and what it's about. Announcing the release of a new novella collection by Frances Devine, Vickie McDonough, Jeri Odell, and me. We're really excited about this book. And to celebrate, we're giving away 4 copies of the book, not the usual one, so you have a better chance to win--if you leave a comment. 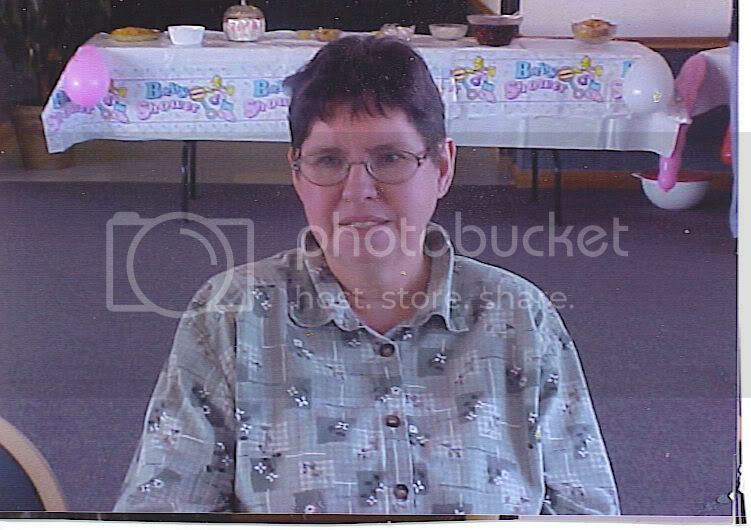 Here's Vickie McDonough. 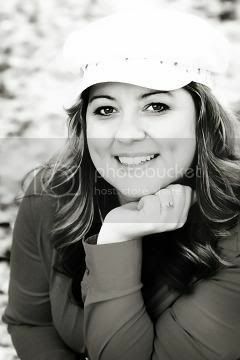 Her web site is www.vickiemcdonough.com . 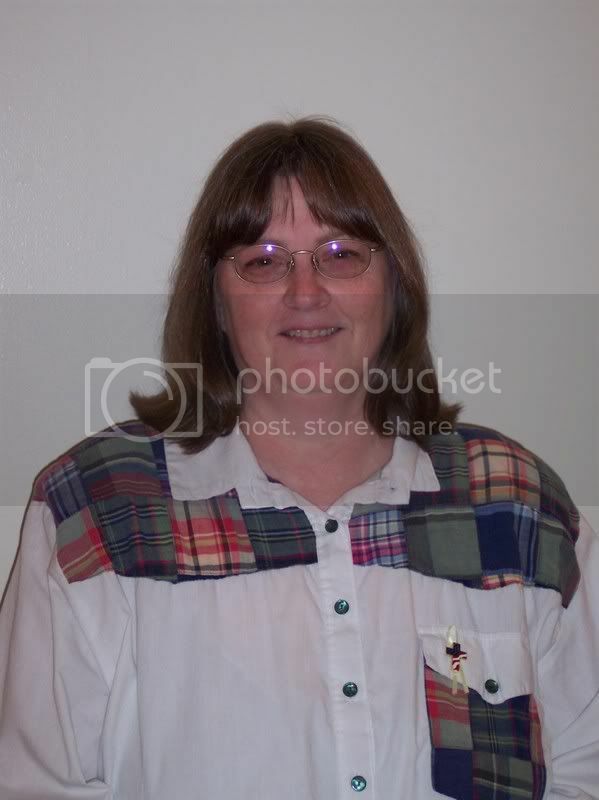 This is Frances Devine. She doesn't have a personal web site yet, but you can find out more about her at www.barbourbooks.com/author/detail/frances-devine . I'm interviewing all three of these women for you. How did your story for Spinster Brides come about? Vickie: My heroine is gung-ho about expanding the orphanage mentioned all through the book. I got to thinking what if she wanted to buy the same piece of property that someone else wanted. I could see that would create some good conflict and created my story around that issue. Frances: To be honest, I’m not sure. It was just there. Jeri: I’d actually had this story in mind for several years. My youngest son was in law school at the time, so I did a little research on early women lawyers. The story grew from there. Lena: My answer is similar to Vickie's. I knew in that time period, women weren't often owners of ranches, especially young women. If her father had asked for a man to check on her, conflict would flare. What are you reading right now. Frances: I’m re-reading Bodie Thoene’s Zion Covenant books for the umpteenth time. Jeri: I’ve written six novellas in various collections by both Barbour and Tyndale, and I’m now in the process of writing my fifth Heartsong with two more to follow. I also wrote a non-fiction book a few years back titled Spiritual Single. Vickie: Working with an anthology team is a great way to build new friends and strengthen friendships you already have. It’s a big give and take, where you have to be willing to let go of some of your ideas and accept ideas from your teammates. Frances: It gave me confidence and fulfilled a life-long dream. Jeri: I loved working with each of these gifted women. 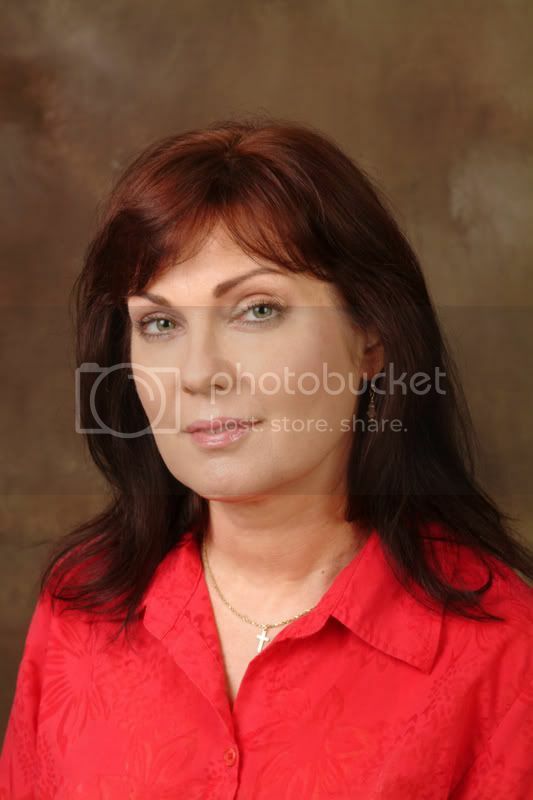 Vickie is a wonderful writer and is the brains behind the book. Lena has so much experience and expertise. And Francis, being in the early stages of her career, brought so much excitement and enthusiasm to the process. Lena: This was a very good team to work with. You'll find that helped create an interesting book. Vickie: Usually I pick a name I like. I sometimes have to do a search on surnames or baby names to get ideas, but often, I just have a good idea of what a certain character should be called. Frances: Sometimes they’re just there. Sometimes I look through lists of names. Jeri: I keep a list of names that I hear and like. When naming a character, I go over the list, check meanings, and chose one that fits. Lena: I could say, "All of the above." In addition, I've even had characters insist I change their name while I'm writing. Each time I've had to change it in the whole book, because I kept typing the wrong one. What did you want the reader to “get” from your story? Vickie: I want my readers to be entertained with a fun, clean story and to be inspired in their walk with God. Frances: I want them to enjoy the story, but also to be reminded that sometimes we have preconceived ideas about others that prevent us from offering compassion. Jeri: That we don’t all, as Christians, have to see eye to eye on every subject, and often some of our preconceived ideas are actually misconceived. Lena: I want them to enjoy the story, but also understand that if we compromise, everyone wins. 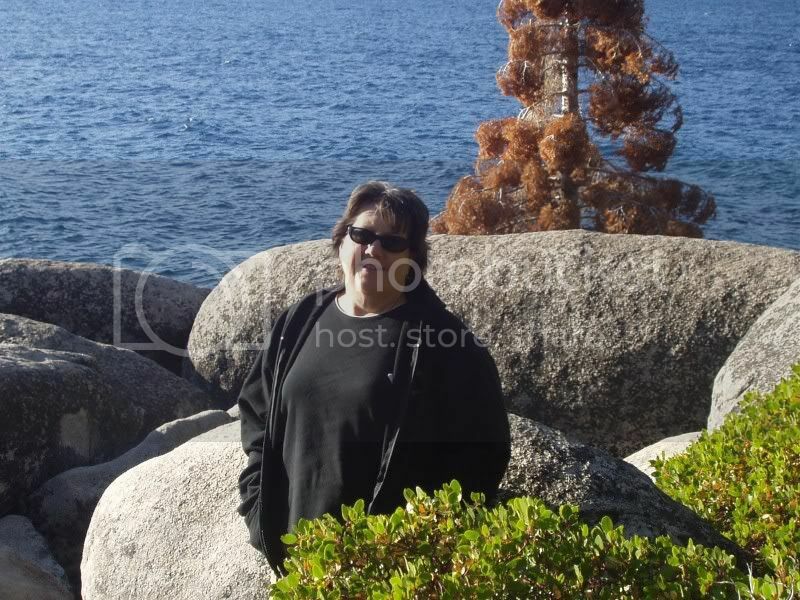 Vickie: ACFW helped me get published. I met authors on the loop who liked my writing and gave me a chance to work with them, which is how I first got published. I’ve learned so much about writing through ACFW’s online classes, their e-zine, and best of all, the ACFW annual conference, which is the best fiction writers conference in the U.S.
Frances: It’s a wonderful group that offers fellowship and communication with other writers while also providing many writing helps. Jeri: Encouragement, fellowship, and wisdom. They also have a great annual conference that stretches me, challenges me, and improves me as a writer. Lena: Another all-of-the-above moment. See why we worked so well together. However, it probably is the best Christian fiction writers conference in the whole world. Will you be at the conference in Dallas in September? Jeri: I hope to be. I’ve attended the past four years in a row. Lena: Since's it's in Dallas, and I live near there, I'll for sure attend. I have been at all five nationals and the two regional conferences. Vickie: Study your craft and keep writing. It takes persistence to get published. Frances: Stay teachable and don’t fall in love with your words. Jeri: God is sovereign over my writing ministry, so whatever is happening, trust Him. Lena: All good advice. Maybe another piece of good advice is: Don't compare your writing or your success to anyone else's. This fits with Jeri's. Let God work His will and His timing in your writing. Vickie, Frances, Jeri, thank you for spending this time with us. I think we all have book signings coming up in the next couple of weeks. If you're near southwestern Missouri; Tulsa, Oklahoma; Tucson, Arizona; or Hurst, Texas, please come to the signings. Mine is Sauturday, March 31, at Walmart on the corner of Harwood Road and Precinct Line. Be sure and tell me you read about it here. Also, sign up for one of the 4 free copies. Anicz, you are the blessed person. There's still time to leave a comment on Wanda Dyson's Interview for a chance to win a copy of Why I Jumped. To ensure that you won't miss the post announcing you as a winner, sign up on the right hand column to receive notification of the posts by Feedblitz. You won't be sent any spam because of signing up. I first became acquainted with Wanda Dyson as a reader. I just love her suspense three-book series: Abduction, Obsession, and Intimidation. Actually, I connected with her on the Internet before the third book came out. They are wonderful. Then in 2006, I was privileged to meet her in person and spend some time with her at the national American Christian Fiction Writers conference. Now she has a bestselling nonfiction book. It’s different for each character, but they all carry a little something of me. I suppose they have to since they are my creation. But usually when I create a character (or they create themselves) their story reminds me of someone I know and so there is probably more of their fears, their hopes, their dreams, and their victories in that character than mine. I can see how that would happen. What is the quirkiest thing you have ever done? Oh yes, she was even Lena Nelson Dooley. What fun! When did you first discover that you were a writer? When I was in junior high school, I was maybe 13 or 14 years old and our English teacher gave us assignment to write the first chapter of a book. I wrote mine and turned it in, not thinking anything of it. Not only did it get the highest score in the class, but everyone wanted a copy and then I was begged to keep writing more chapters by other students. So I did. And each time I would come in with another chapter, it would get passed around the school. A built-in reader base. Good job! Tell us the range of the kinds of books you enjoy reading. I have an extensive library of reading material since I hate to get rid of books. There are probably close to a thousand titles on those shelves. I have fantasy, romantic suspense, thrillers, women’s fiction, theology, Christian living, writing craft, biographies, Hebrew prayer books, and of course… SUSPENSE, suspense, and more suspense. I'm finding that I've been choosing more and more suspense books to read. Maybe I should try my hand at writing one. What other books have you written, whether published or not? Abduction, Obsession, and Intimidation are the three suspense titles published. Why I Jumped is the true story that came out last October. And sitting in my filing cabinet are: Legacy of Love and Legacy of Grace (circa 1995-6) The Restoration (circa 1999), Shadow of Death (Circa 1997), On a Wing and A Prayer (Circa 1998). When it all starts to get to be too much, I grab my IPOD loaded with worship music and walk down to the pasture and wander out there with the horses, worshipping as I watch the horses graze, the hawks circling the treetops, the deer skittering along the edge of the woods, the fox peering out from the brush, and the groundhogs disappearing in their underground lairs. If it’s a cool enough day, I’ll saddle up Grace or Pawnee and take a ride around the property, just relaxing to the music, the creak of the leather, and the occasional whinny of someone in the herd that’s missing his buddy. For the most part, they tell me their names. Sometimes, they only give me a first name and then I’ll page through one of the many phone books I keep around until I land on a last name I think fits their personality. In spite of only having a ninth grade education (I had to quit school and help raise my siblings) I’ve gone on without any diplomas or formal education to become the marketing director of an international company, then an ordained minister, and finally a published author. Actually, I shouldn’t say “finally” because there’s no telling what Father will have me accomplish next. Quite a list of accomplishments, Wanda! If you were an animal, which one would you be, and why? Probably a horse. Duh, right? But not because I love them as much as I do. I’d be one because I’ve always loved to run free, wander at will, and maintain my independence…until the Lord put a bit in my mouth and taught me to bend at the poll and yield to His gentle hand in guiding me in where I needed to go. Fattening. No. Really. Mashed potatoes, hot bread with butter, French crullers, pound cake. But #1 is prime rib. Yep. Fattening again. Why I Jumped is the true story that was captured as it unfolded in Green Bay Wisconsin. A young mother, in the throes of depression, led the police on a high speed chase to the top of the Tower Drive Bridge, calmly got out of her car, walked over to the edge and jumped. A State Police officer (off duty) heard the call and had been on her bumper for about ten miles. He scrambled out of his car, ran to the edge, and just as she started her downward plunge, reached out and snagged her by the wrist, nearly being pulled over himself. If that were the whole story, that would be exciting enough. But what no one knew was that behind the scenes, for weeks, twelve young women had felt a burden to pray for this woman and every Wednesday night, faithfully, they came together to pray. There are several incidents like that in this book that show that God’s hand was the one that reached out and held on to that woman…and how He’s worked in her life since that day to bring about healing and restoration. What Wanda didn't say is that the book was featured on Oprah and Good Morning America. I think you'll find it interesting. Remember to leave a comment for a chance to win a copy, but if you don't win the free book, you'll want to get a copy and read this marvelous true story. Wanda, thank you for spending this time with us. . . .is Cindy Woodsmall. Please send me your mailing address so we can get the book out to you right away. Readers, you could win a free book on this blog if you leave a comment on the interviews. There's still time to leave one on Trish Perry's interview. Sheryl is the winner of Through Every Storm by Sharlene Maclaren. Sheryl, click on the link to my e-mail address and send me your mailing address so we can get the book out to you. As I've often told you before, I'be known Trish Perry as an online friend for a long time. That's one of the wonderful perks of networking with other authors. She's also in ACFW. Now she's had her first two books published in less than a year. Way to to, Trish. Oh, Lena, I’m a mess. When my characters behave badly, that’s pretty much me. I have such an easy time writing their embarrassingly human moments, because I’ve been there—not in the exact circumstances they face, but in some of their truly stupid reactions to other humans. And some of the more smarty-pants comments are much like me. Good grief, I don’t sound like a very good egg, do I? But you sound completely human. Our readers need to know that about us. We're just flawed human beings, who happen to write novels. What is the quirkiest thing you have ever done? I have a thing about locking the door to the house. I saw an episode of "America’s Most Wanted" about ten years ago, and it freaked me out to no end, the way the bad guy sneaked into the house while the wife was outside waving goodbye to her hubby. So, when my son was just a wee one and my hubby was in the hospital with appendicitis, I wanted to mow the lawn for him, using his riding mower. My son was inside, napping. I locked the door and mowed a small patch of grass. Then I left the mower idling to dash in and check on my son. As I fiddled with unlocking the door, I saw the lawn mower speed happily across the driveway and toward our pond. I actually took the time to make sure the door was locked before I took off running after the mower. It took out an entire flowering hedge, but when I cried out, “Oh, Lord, please help me!” the mower suddenly slowed, turned to the left and waited for me to come drive it back to the garage, where it stayed until hubby came home. I still lock the door religiously, regardless of what’s going on outside. That's very funny, but it also shows that God answers prayer, Trish. When did you first discover that you were a writer? Although I didn’t take myself seriously as a writer until 1994 or so, there was a moment when I first got that joy of having written something lovely. I was in the sixth grade, and our teacher gave us the assignment to clip a picture from a magazine and write a poem to go with it. I chose a picture of an English garden with an open gate and a stream. I still remember the short poem that came to me. More vividly, I remember my older brother (now an English Professor at Santa Clara University) reading the poem and saying, “You know, that’s pretty good.” I loved the feeling I got with that affirmation; loved writing the poem. That may have been the first time I discovered that writing was for me. Wow. I’m definitely an equal opportunity reader. I avidly read both Christian and secular novels. (I’m going to assume you mean fiction reading.) I’ll read something ultra-serious then pick up chick lit and enjoy it just as much—I deliberately follow one type of story with something drastically different. So after Scott Simon’s Pretty Birds, about the Bosnian war, comes Lisa Samson’s Women’s Intuition, an excellent Women’s Fiction novel. Then Philippa Gregory’s The Other Boleyn Girl, about the gal who lost her head (literally), followed by Kristen Billerbeck’s She’s Out of Control, about the gal who lost her head (figuratively). Back and forth from secular to Christian, up and down from light to heavy. The first book I wrote, Only One, is yet to be published. As soon as I finished it (at least I thought it was finished), I wrote The Guy I’m Not Dating and its follow-up, Too Good to Be True (releasing this month). Only One is a spiritual warfare story, about Shawna Callahan, a young unsaved woman who experiments with hypnosis and thinks she’s discovered a past life. Her misguided beliefs lead her into spiritual danger and manipulation. The Lord graciously surrounds her with believers who might seem ineffective individually but who collectively lead Shawna to the Truth, just when all appears lost. I’m now writing a third (and final) novel in my current chick lit series, tentatively titled ‘Til Depth Do Us Part. The hero and heroine are characters who were prominent in, and popular with readers of, the first two novels. I may have to check back with you on that, Lena. I often feel like a woman on the verge—I make no guarantees about my status in, say a week. But the ever-patient Lord rushes in to calm me so often, to assure me that, as I’ve heard others say, “‘Important’ matters are seldom urgent, and ‘urgent’ matters are seldom important.” The way He keeps my sanity intact is by reminding me that I can only get done what I get done each day. If I lean on Him and work to honor Him, it’s all good! Deadlines help me prioritize, and my understanding family members help me cope, even when they don’t have clean socks and underwear. I often do the Dickens thing, but not as overtly or specifically as he did. I give my spunky heroines short snappy names, while the more vulnerable, feminine gals have softer names, like sighs. My heroes often get melodic names or strong, Biblically based names. My bad guys get sharp, hard-edged names, and the mean girls get the flip-sounding names I associate with spoiled, slightly dense types. The downright evil guys get names with a mysterious feel to them. I’m not always aware of those parameters when I choose names, but I certainly feel around for the name that fits the image I want to portray. I doubt I’ll ever have an evil genius named Floyd or a chick lit heroine named Bertha, you know? I know this might sound trite, but the role I played in my two kids’ coming to Christ is the greatest joy in my life, next to my relationship with my Savior. I wasn’t even the one who led either of them to Him, but I know I was an important part of the process. What a privilege. And now I have a grandson . . . Yes, the spiritual role of a grandparent is so important, and one my husband and I take seriously. Now on a lighter vein, if you were an animal, which one would you be, and why? What a fun question! The first critter that came to mind for me was a bird, of course—a mighty eagle or cooing dove, because flying has got to be one awesome experience. But let’s all stifle a yawn on the creativity angle of that answer. Anyway, I figure we’ll get to fly when we get our eternal bodies, so I’m going with the seahorse. All right, it’s a fish. Perhaps I should aspire to greater things than fishdom, but are seahorses cool or what? I know the Lord had fun with that one. Just the cutest. And the male births the babies—need I say more? I know what you mean. I will interject that I've been enjoying hearing the doves coo in the morning lately. Ah, spring! What is your favorite food? How much time do you have? By all rights, I should be listed in the Guinness Book under some pro-food category. I love food. How about I tell you what food I don’t like? That would be cooked celery. Everything else is my favorite food. 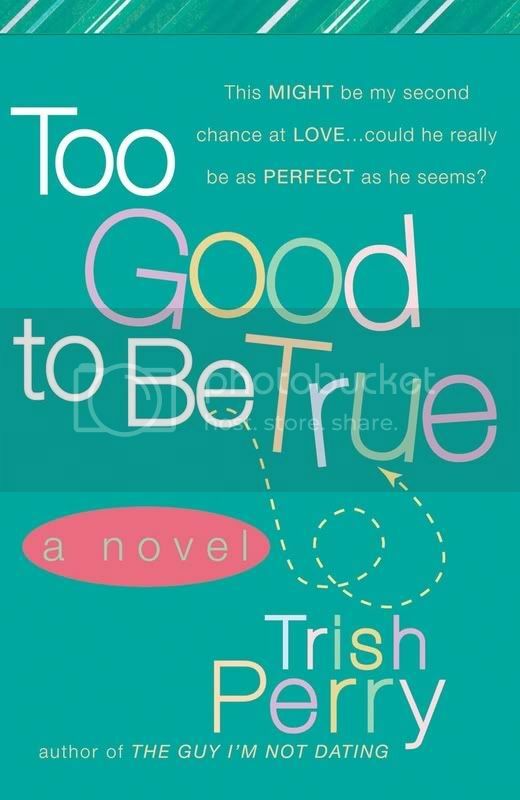 Too Good to Be True is a romantic comedy—chick lit—about Rennie Young, a young elementary schoolteacher whose husband left and divorced her more than a year ago. On the anniversary of that divorce, she learns that the adoption she and her ex began has fallen through. And the child they planned to adopt is one of her students, whom she loves dearly. The upshot of all of this stress? Ren faints, face first, in the boys’ department at her local Wal-Mart. Truman Sayers, a handsome labor-and-delivery nurse, comes to her rescue, and the romance is on. Or is it? Tru seems perfect, but both he and Ren bring their share of baggage on this trip down lovers’ lane, not the least of which is each of their meddlesome mothers. Add numerous siblings, well-meaning friends, old hurts and new insecurities, and Ren wonders if she isn’t hoping for something that’s too good to be true. I hope readers have fun with the book. I like stories about the human struggle to behave in a divine fashion. We’re so bad at it! See? Christians behaving badly—that’s me! Sounds wonderful, Trish. It's on my to-be-read pile waiting for me to finish the rewrite on my book that comes out this fall. Thank you for spending this time with us. Readers, leave a comment for a chance to win a copy of Too Good to be True. There's still time to leave a comment on Rhonda Gibson's interview for a chance to win The Bachelor's Club. I've known Rhonda for a long time. Actually, her first sale was for the novella collection Scraps of Love. I was on that writing team. I've loved knowing her. You will, too. I’d say that a small part of myself goes into each heroine. Her likes/dislikes, hobbies, beliefs, and some mannerisms. That invitation should flood your mailbox with mail. When did you first discover that you were a writer? The first time I picked up a Hardy Boys novel. I fell in love with them and wanted to write one of their stories. I wrote a 400 page handwritten Hardy Boys book when I was 12 years old. It’s been lost over the years but it was a great beginning for me! 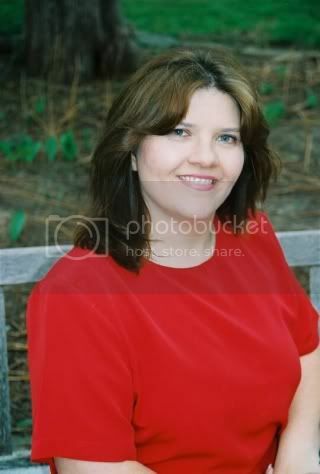 I enjoy romance, mystery, childrens/tween books, westerns, fantasy, and some sci-fi. Horror isn’t something I enjoy. I’m a chicken at heart. Unpublished: Cozy romantic mysteries, contemporary and historical romance, a tween book, and a cookbook. I spend time in the Word that alone makes any day run smoother. I also have a schedule I try to stay within. Some of my characters come with names. For the others, I have been known to look online for popular names of certain time periods. I have a baby name book that I can refer to, and I chose family members names. Without a doubt my children, they are both men and women of God, and for that I am most thankful! A dolphin. They swim in cool water all day. Play and have fun and can eat whatever they want. Best of all, they bring joy into peoples lives. That’s what I’d like to do. Mexican. I love hot, spicy meals. I love Mexican food, too, but probably not as hot as you do. What would you like to tell us about the featured book? The Bachelor Club is a special book. The group of authors who wrote this book with me, Bev Huston, Janet Spaeth (a very special friend), and Kathleen Y’Barbo allowed me to pattern one of the main characters, Willard Lovelace, after my dad, Willard McConnell. So it is very special to me. 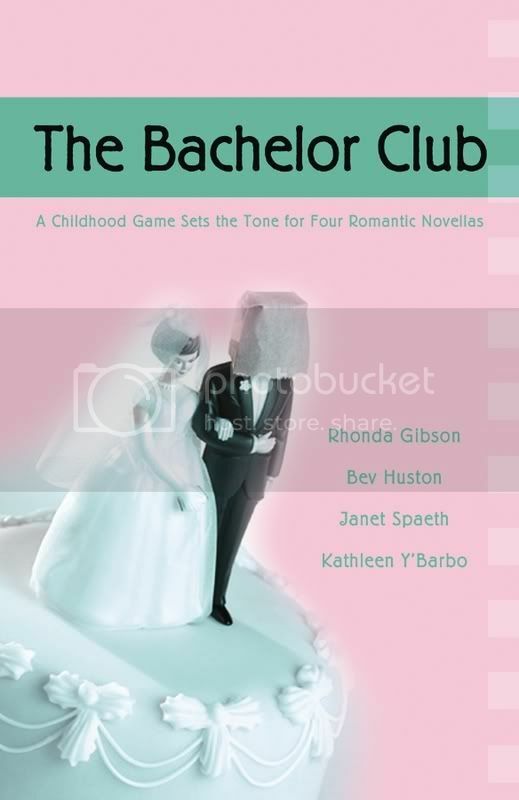 The Bachelor Club is a book about a game four little boys started and how it turned into a competition to see who would wait the longest to get married. This is a fun book set in my home state of New Mexico. Rhonda, thank you for spending this time with us. We'll be on the lookout for all your books. Readers, remember to leave a comment for a chance to win a copy of this fun book. Kristy Dykes, your name has been chosen. You'll be blessed by the book. Please e-mail me your snail mail address, so Wanda can get the book to you. Remember, Readers, there's still time to leave a comment on Sharlene Maclaren's interview for a chance to win a copy of Through Every Storm.